The Saugeen River originates in one of the highest points in southwestern Ontario and flows through rolling scenic countryside into Lake Huron, at Southampton. The canoeist or kayaker will be able to see a variety of wildlife along the route, such as great blue herons, mallards, beavers and muskrats. Thorncrest Outfitters has all of the gear you will need for your paddling adventure. 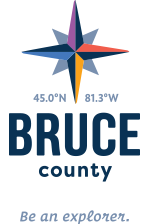 Call them in advance at 519-797-1608 to book your equipment ask for a shuttle from Southampton to Saugeen River Access #13 (just east of Port Elgin). The trip from Saugeen River Access #13 to #16 (downtown Southampton) will take you approximately 6 hours. Book your accommodations at the lovely Chantry Breezes Bed and Breakfast. Once you arrive in Southampton and check in, stroll over to the Forge and Thistle Wee Pub and Dining Room for a delicious fresh pickerel dinner. After dinner, walk down the base of High Street and enjoy the Lake Huron waterfront on Captain Spence Trail. Look out for the butterfly gardens along the way. After a great sleep, enjoy an incredible home cooked breakfast at your B&B, Chantry Breezes. Grab your take away lunch from Offshore Bakery: freshly made sandwiches and baked goodies. Ask for a Bruce County Potato; it’s like a donut, only better! Reminisce about your paddling adventure over dinner at the Walker House. Order an incredibly garlicy Caesar Salad to start and the Steak and Shrimp for your entrée. The Walker House proudly serves Southampton’s home-brewed beer: Outlaw Brewing Company.